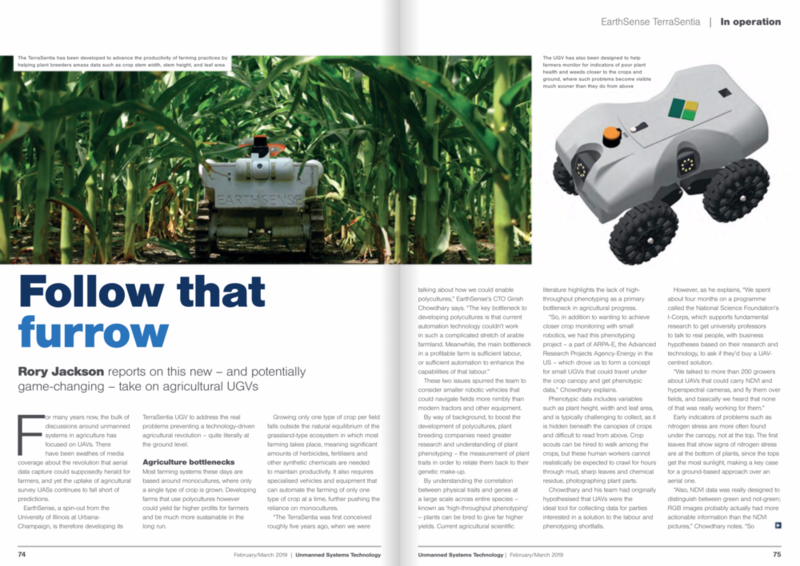 "Follow that Furrow" — EarthSense, Inc.
Rory Jackson interviews EarthSense CTO Girish Chowdhary for the Unmanned Systems Technologies Magazine. For many years now, the bulk of discussion around unmanned systems in agriculture has been focused on UAVs. There have been swathes of media coverage about the revolution that aerial data capture could supposedly herald for farmers, and yet the uptake of agricultural survey UASs continues to fall short of predictions. Older Post"What will tomorrow’s ag workers and farmers look like?"